From the #1 New York Times bestselling author of The Da Vinci Code comes the explosive thriller that started it all. An ancient secret brotherhood. A devastating new weapon of destruction. An unthinkable target. When world-renowned Harvard symbologist Robert Langdon is summoned to his first assignment to a Swiss research facility to analyze a mysterious symbol -- seared into the chest of a murdered physicist -- he discovers evidence of the unimaginable: the resurgence of an ancient secret brotherhood known as the Illuminati...the most powerful underground organization ever to walk the earth. The Illuminati has now surfaced to carry out the final phase of its legendary vendetta against its most hated enemy -- the Catholic Church. Langdon&apos;s worst fears are confirmed on the eve of the Vatican&apos;s holy conclave, when a messenger of the Illuminati announces they have hidden an unstoppable time bomb at the very heart of Vatican City. With the countdown under way, Langdon jets to Rome to join forces with Vittoria Vetra, a beautiful and mysterious Italian scientist, to assist the Vatican in a desperate bid for survival. Embarking on a frantic hunt through sealed crypts, dangerous catacombs, deserted cathedrals, and the most secretive vault on earth, Langdon and Vetra follow a 400-year-old trail of ancient symbols that snakes across Rome toward the long-forgotten Illuminati lair...a clandestine location that contains the only hope for Vatican salvation. Critics have praised the exhilarating blend of relentless adventure, scholarly intrigue, and cutting wit found in Brown&apos;s remarkable thrillers featuring Robert Langdon. 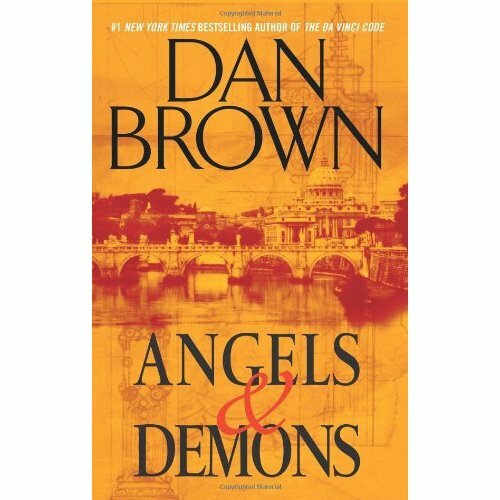 An explosive international suspense, Angels & Demons marks this hero&apos;s first adventure as it careens from enlightening epiphanies to dark truths as the battle between science and religion turns to war.